Anna Elize du Plessis, PhD, Research Fellow at Learning Sciences Institute of Australia, Australia. Jana Visnovska, PhD, The University of Queensland, Brisbane, Australia. Ivan Reid, PhD, Professor, York St. John University, UK. Khalid Mehmood, PhD, CEO-FAME/Former Director, Department of Education, University of Education, Lahore, Pakistan. Michael Boyle, PhD, The University of Queensland, Brisbane, Australia. Muhammad Memon, PhD, Professor, Chairman, BISE Hyderabad (Ex-Director IED-AKU, Karachi), Pakistan. Munawar S. Mirza, PhD, Professor, Pro-Vice Chancellor, Leads University, Lahore (Ex-Vice Chancellor, University of Education, Lahore), Pakistan. Mushtaq-ur-Rehman Siddiqui, PhD, Professor, Ex-Director Institute of Education and Research, University of the Punjab, Lahore, Pakistan. Nasir Mahmood, PhD, Professor, Dean, Faculty of Education; Chairman, Department of Early Childhood Education (ECE) & Elementary Education, Allama Iqbal Open University (AIOU), Islamabad, Pakistan. Peter Renshaw, PhD, Professor, The University of Queensland, Brisbane, Australia. Rizwan Akram Rana, PhD, Professor, Department of Science Education, IER, University of the Punjab, Lahore, Pakistan. Robyn M. Gillies, PhD, Professor, The University of Queensland, Brisbane, Australia. Tahira Rana, PhD, Professor (Retd.). Government College of Home Economics, Lahore, Pakistan. Sue Walker, PhD, Professor, Queensland University of Technology, Australia. Effat Alvi, PhD, Assistant Professor, Department of Educational Research and Evaluation, IER, University of the Punjab, Lahore, Pakistan. Muhammad Aamir Hashmi, PhD, Associate Professor, Department of Educational Research and Evaluation, IER, University of the Punjab, Lahore, Pakistan. Munaza Nuasheen, PhD, Assistant Professor, Department of Educational Research and Evaluation, IER, University of the Punjab, Lahore, Pakistan. 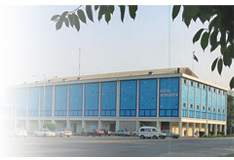 Afshan Huma, PhD, Allama Iqbal Open University (AIOU), Islamabad, Pakistan. Muhammad Khalid Mehmood, PhD, University of Education, Lahore, Pakistan. Muhammad Athar Hussain, PhD, AIOU, Islamabad, Pakistan. Nor Liza Ali, PhD, Universiti Teknologi Malaysia, Kuala Lumpur, Malaysia. Oluwasanumi A. Adepoju, PhD, Gombe State University, Nigeria. Roslinawati Mohd Roslan, PhD, Universiti Brunei Darussalam, Brunei. Shafqat Hussain, PhD, Regional Program Manager, Directorate of Staff Development, QAED / GCET, Sector H-9, Islamabad. Zafar Iqbal, PhD, Department of Distance, Non-formal and Continuing Education (DNFCE), AIOU, Islamabad, Pakistan. Zehara Waheed, PhD, Lahore University of Management Sciences (LUMS), Lahore, Pakistan. Abdul Rauf, PhD Scholar, Institute of Education and Research, University of the Punjab, Lahore, Pakistan.